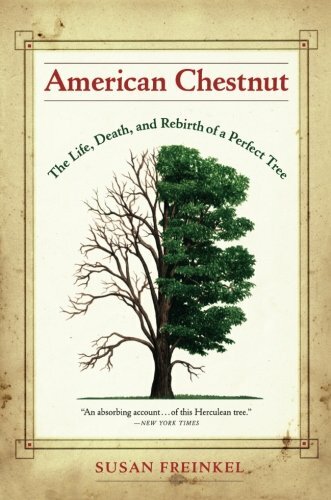 American Chestnut by Susan Freinkel traces the cultural, political, and scientific events which describe the life, death, and rebirth of a perfect tree. American Chestnut acts as both introduction and review for amateur, expert, and newbie enthusiasts regarding the life, death, and rebirth of a perfect tree. It brings to twenty-first century audiences the life cycle and natural history of a woody plant whose generous form and function make it a top candidate throughout all places and times for recognition as the world’s perfect tree. It likewise considers tragic reversals from decisions flawed by twentieth-century limits on scientific advances and technological breakthroughs. Author of the subsequent Plastic: A Toxic Love Story in 2011, freelance science journalist Susan Freinkel therefore divides her 2008 National Outdoor Book Award-honored publication into three timelines regarding American chestnuts before, during, and subsequent to blight-caused ravages. Martha, last-known passenger pigeon, died at Cincinnati Zoological Garden on September 1, 1914; her taxidermied body currently is on display through September 2015 via Once There Were Billions exhibit at Smithsonian National Museum of Natural History. restoring filtered-light balances by shooting for the sky whenever forest and woodland canopies open or thin. And yet biological ironies give the two ancient arboreal and sylvan genera, so alike in Shakespearean dignity (paraphrasing Romeo and Juliet, Prologue, line 1), unlike roles in food chain and web interactions with Cryphonectria parasitica. American chestnuts and chinquapins (Castanea pumila) have no resistance whereas oaks serve as unsusceptible carriers of the above-mentioned devastating fungus. 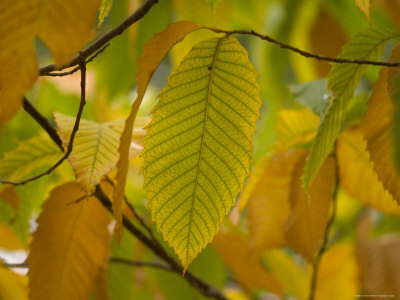 The altitude-specific range of the American Chestnut reveals the New World native's affinity for the Appalachian Mountains of eastern North America. They knit the reactions of two of the United States of America’s greatest ecology-minded presidents, with Thomas Jefferson (April 13, 1743 – July 4, 1826) bemoaning the highland chestnut’s mass-extinction by ink disease (Phytophthora cinnamomi) and Theodore Roosevelt (October 27, 1858 – January 6, 1919) deploring the lowland chestnut’s near-extinction by fungus-inflicted blight. surviving blight as short-lived, under-sized sprouts. Their vigilance nevertheless nudges American chestnuts toward sustainability through committed educational, financial, and scientific activism. Europe’s experience from the 1930s onward offers additional hope in France’s, Italy’s, and Portugal’s chestnut (Castanea sativa) survival through anti-blight, virus-induced immunity known as hypovirulence. In 1910, after leaving the presidency, Theodore Roosevelt dropped his captivating, ebullient demeanor as he sadly chopped American Chestnuts stricken by the blight at Sagamore. Freinkel, Susan. 2008. American Chestnut: The Life, Death, and Rebirth of a Perfect Tree. Berkley, CA, U.S.A.; Los Angeles, CA, U.S.A.; and London, England, U.K.: University of California Press. 1840 sketch by H.W. Longfellow of the American Chestnut on Brattle Street in Cambridge, Massachusetts, which he memorialized in his poem; when the tree was cut down, the poet was gifted with a chair made from its wood. 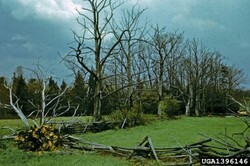 The American chestnut once enjoyed homelands ranging from Maine to Georgia, but in the early 20th century close to 4 billion trees were felled by a blight and the perfect tree became rarefied in its familiar landscapes. The fight to save continues. Learning in childhood about the very last passenger pigeon sparked the interest of National Geographic photographer Joel Sartore (born June 16, 1962) in nature, especially endangered species. candy47, It must have been one of the chestnuts that Virginia Tech Professor Gary Griffin predicted would outlive the blight, which affected trees in record time! Do you have any pictures or is this just a beautifully fond memory that you're one of the lucky ones to have? It's fun to reminisce about chestnuts -- ;-] -- over tea! There was a beautiful chestnut tree in front of our house in the 1950's. The tree has been gone a long time now. Thanks for the morning read with my tea!